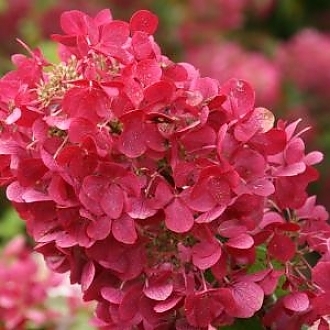 Diamond Rouge® hydrangea has masses of long-lasting flowers that bloom in Summer. As they start blooming, the flowers start out white, then gradually progresses to pink before turning to red and finally a rich wine-red color. This hydrangea’s compact, upright habit combined with its zone 3-8 hardiness, make it the perfect addition to any landscape.